Whilst busying ourselves in what seems to be an incredible (and highly frenetic?!) run up to Christmas, we’ve been looking back at how our first year at how our first year is progressing and without wanting to blow our own trumpets, are pretty chuffed with how things have gone! We’ve been blown away on innumerable occasions by what not only the press have said but also the feedback we’ve received when customers have handled our pure alpaca products for the first time- none of them believed that alpaca could feel so soft and cosy! Trying to decipher why so many people have become so engaged with our brand and products in such a short period of time may be a never-ending mission and we’re only speculating here but it could be because of the truly classic yet pioneering designs that we’ve created for our first range of alpaca clothing to meet modern tastes and demands. First and foremost, we want our products to be enjoyed not only season after season but also throughout the generations. After all, we’re using the best quality alpaca in everything that we create and because alpaca is stronger than mohair and almost indestructible, we feel there’s good reason to believe they will. They could also have been mesmerised by the incredible attributes that pure alpaca garments possess, from the hypoallergenic and breathable qualities to being better performing than merino and when required, warmer than goose down! They may well also have fallen in love with the brand’s ethos and our mission to promote ethical and sustainable knitwear and clothing, after all, we don’t see any point in doing what we’re doing without educating others of the irreparable and damaging effects that fast-fashion is having not only on our Earth but in everything around us. Another possible reason for the substantial following that we’ve amassed in a short period of time maybe because we’re manufacturing our entire range of alpaca knitwear and accessories here in Britain- a feat that industry experts have informed us has never before been achieved. 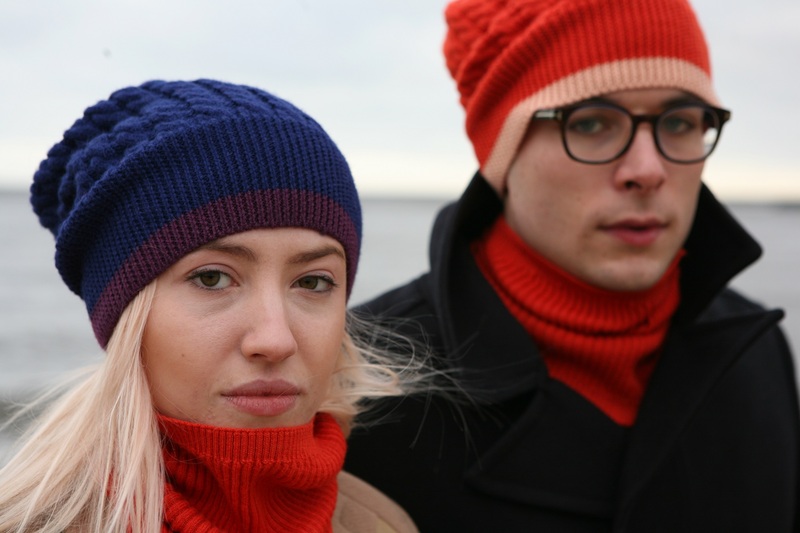 We are truly passionate about this and will do our best to revive the British knitwear industry using alpaca yarn which is what we believe is the ‘future of knitwear’. Admittedly, we haven’t not even gone into much detail in any of the points above but what we can be certain of is that people really do appreciate what we here at Plum HQ are doing and achieving and are falling in love with our entire range of alpaca clothing and accessories. We say, long may it continue! Named in Eluxe Magazine’s Top 5 Alpaca brands. Plum of London promotes *Made In Britain* and continues to create its entire range in these shores. This entry was posted in Uncategorized on 26/11/2014 by Hugo Douglass. The Plum team were treated to an incredible and spectacular afternoon of Christmas festivities yesterday on Marylebone High Street. The annual event was always one which Plum had wanted to become more involved in on a more personal level, not only because of the support the event gives to various chosen charities but also for the natural warmth and seasonal fervour the afternoon brings to the local community. This year, The Howard de Walden Estate unanimously chose Scope as their charity and invited non other than the award winning actress, and writer Jessica Hines, most famed for her roles in several exceptional British films and television series’. Many established retailers on Marylebone High Street celebrated the event by offering special discounts in store and in der to fully embrace the public mood, offered mulled wine and mince pies! These worldwide recognised brands include the esteemed knitwear designer Eileen Fisher and the luxury Scottish cashmere label Brora to The Conran Shop and Emma Bridgewater, purveyor of the world’s finest and most colourful china! Live acts and performances were also present to entertain the crowds whilst there were number of incredible activities for the kids from Santa’s Grotto and a Fun Fair to reindeer and competitions. Everyone was certainly well catered for! The Plum team were there alongside several other cashmere brands as well as some alpaca brands from Peru and Herefordshire and have already put the date in the diary for 2015 and hope you do too- we’re confident you’ll be pleased you did! This entry was posted in Uncategorized on 20/11/2014 by Hugo Douglass. Walpole British Luxury Awards, celebrating Britain’s finest luxury brands was held on Monday 3rd November. The V&A played host to the 13th annual awards in association with Coutts, which was attended by key figures from across the British luxury industry. Jodie Kidd presented 11 awards to a variety of British brands alongside Walpole CEO Michelle Emmerson. The main criteria for winning one of the awards seemed to be pushing the boundaries in luxury which is what we here at Plum of London are striving to do with alpaca knitwear. The winners were also recognised as excelling in quality, design, craftsmanship and service. This entry was posted in Uncategorized on 05/11/2014 by Hugo Douglass. Although the temperature’s falling substantially outside, things are hotting up here at Plum HQ as we ready ourselves for what will be a busy few months…! We’ve already exhibited at a few Christmas Fairs and have been so appreative of all the incredible feedback and response we’ve received. Everyone has been so complimentary of our pure Royal and baby alpaca knitwear and have often been quite surprised at how soft each piece handles, not to mention learning of all the incredible qualities alpaca fibre possesses. We appreciate that the manufacture of pure alpaca clothing hasn’t been achieved in Britain for nearly 200 years so some may regard Plum of London’s range of knitwear as a relatively new concept but we believe that we’re successfully informing others of the infinite list of benefits this ‘super yarn’ boasts and are well on our way to achieve our ultimate goal…! The Good Web Guide is the online guide to the best sites available on the internet. Their mission is to offer all visitors a refined and carefully selected shortlist of the best sites across a broad range of lifestyle and consumer interests. Plum of London’s website, featuring an unique and ethical range of luxury alpaca British clothing, has been listed on The Good Web Guide (TGWG) for several months and in that time, has already received both national and international recognition for its sustainable and innovative collection of alpaca knitwear. There are some really fantastic cashmere knitwear brands which TGWG feature such as Brora and Chinti and Parker. There’s a plethora of high quality retailers from ASOS, Farfetch.com and The White Company to high end fashion brands including Amanda Wakeley, Browns and Aspinal of London. Selfridges’ very own website is also listed so we are in very good company!